New Wet Feet Poster | Rocket Steps. The art of communication. New ‘Reggie Perrin’ themed Poster for the Wet Feet gig I compere. Nice. 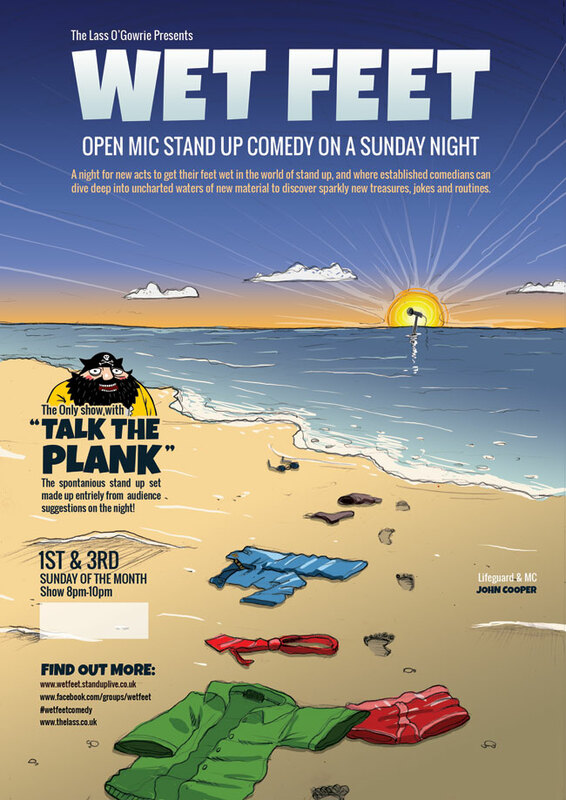 Hopefully this will grow into a series of posters with the ongoing maguffin of the mic poking out of the sea.